This entry was posted on August 31, 2018 by chris elliott. What is the difference between solid or engineered strand woven bamboo flooring? The main difference between solid and engineered bamboo flooring is the way the planks have been constructed. Solid strand woven bamboo is made purely from bamboo fibres that have been compressed together with glue to form the planks of flooring. Engineered strand woven bamboo has a plywood base with a top layer of strand woven bamboo. Once either solid or engineered bamboo have been installed it is almost impossible to tell the difference between the two. They both look exactly the same from the surface. To learn more about how strand woven bamboo is made, read our article: How is Strand Woven Bamboo Flooring Made? How can solid or engineered strand woven bamboo flooring be used? 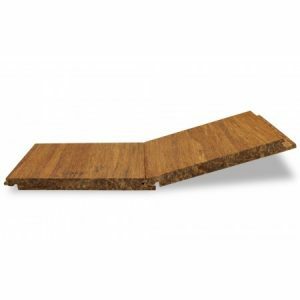 Both can be installed over any subfloor that has been prepared properly. Either can be floated or fixed to the subfloor. You can use both in rooms where temperatures and humidity fluctuate. For example, conservatories. All of our click fitting strand woven bamboo can be used with underfloor heating. Both are extremely hardwearing so can be used in high traffic areas and are even suitable for commercial use. What is the cost of solid or engineered strand woven bamboo flooring? Generally speaking, solid strand woven bamboo flooring is usually more expensive than engineered because of the amount of bamboo that is used. However, the price can also depend upon the size of the flooring planks. So, if are looking for longer and wider flooring planks, then you will need engineered strand woven, which can be found at a comparable price to smaller solid bamboo flooring. 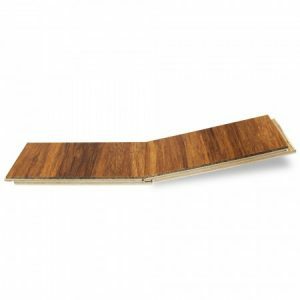 Should I choose solid or engineered strand woven bamboo flooring? As already mentioned, they both look the same, have the same strength and can be used in the same areas. 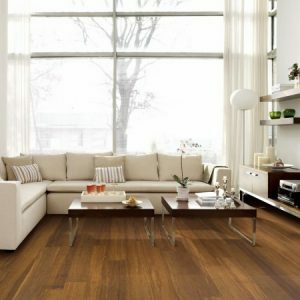 The main reason that you would choose engineered strand woven bamboo is if you are looking for wide planks of flooring. The engineered structure means that the planks can be wider than normal while retaining the dimensional stability and strength that you require. For further information have a look at: What is Strand Woven Bamboo Flooring?